Selecting your model of prescription safety glasses is among the most important workplace equipment decisions you can make. 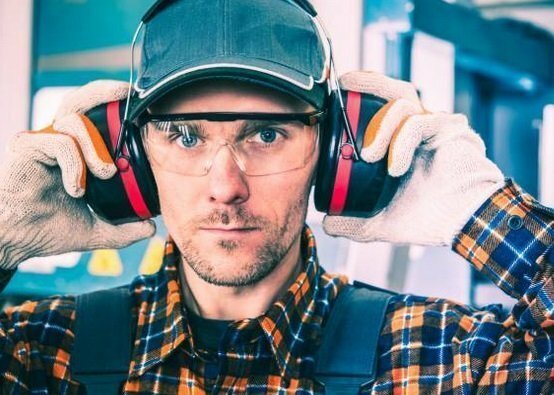 Eye protection is a vital part of both industrial and at-home work that involves bright lights, dangerous machinery or flying debris of any size. Your eyes are among the most delicate organs in your body and they are vital to living a comfortable everyday life with the sense of sight. This is why both employers and independent workers put so much time and effort into choosing the right safety glasses for the job. This is especially important for anyone who wears prescription lenses. Needing vision correction means that the selection of safety glasses is even more vital because you either need a custom pair that fits snugly over your everyday glasses or a pair of special prescription safety glasses that can function well in a variety of situations. Among the features professionals look for are side-shields, optional elastic straps. the right shape design, and of course, foam gaskets. What are Foam Gaskets in Safety Glasses? Not everyone will immediately know what a foam gasket is, much less why they are so helpful when it comes to your prescription safety glasses. To be fair, ‘gasket’ isn’t a word you hear much outside of specific industry circles. A foam gasket on safety glasses is a special ring of foam made to fit exactly to the back rims of the frame. These comfortably bridge the gap between safety glasses and safety goggle. The purpose of the foam is to mold to the shape of your face, creating a soft breathable shield between your eyes and the surrounding environment. Gaskets are usually black or made with a custom color and are nearly invisible. For the most part, they add some thickness and shape to the appearance of your safety glasses while all the benefit is hidden in the space between your frames and your face. Of course, what makes foam gaskets a mainstay in safety glasses design is, like all great features, they are highly beneficial and versatile. A pair of prescription safety glasses with foam gaskets can be used in a wide variety of projects and will keep your eyes equally safe in each different work environment. Let’s take a look at just a few of the great ways that foam gaskets improve the quality and effectiveness of your prescription safety glasses. The first thing most people realize when they slip on a pair of foam gasket safety glasses is the surprising level of comfort. Safety glasses are not something you usually think of as ‘comfortable’ because they are work gear and crafted with hard durable plastic. While the primary purpose of foam gaskets is to provide added protection, comfort is a side-effect that every professional will care about. Foam gaskets add a layer of padding between the sturdy plastic frames and your face. The gaskets are cut to fit perfectly behind the frames and rest well on the contours of your face. The foam may or may not be form-fitting itself, ready to completely fill the gap between the glasses and your face. The softness and the feeling that the glasses are ‘floating’ on your face often gives professionals the impression that their glasses have become lighter. In reality, a very small amount of weight has been added but the lack of hard or rubbing edges will significantly increase the all-day comfort of safety glasses with foam gaskets. Functionally, foam gaskets were designed to address environmental risks. Occupations that require eye protection often need more protection than conventional safety glasses can handle. While large shatter-resistant lenses and side shields are useful when larger debris like metal fragments or woodchips are flying, but sometimes your real concern is much smaller. Work environments with any kind of high particle count need serious eye protection. Even dust can be harmful in high concentrations and over long exposure periods. If your environment involves smoke, sawdust or metal particles, aerated or evaporated chemicals, your eyes are at risk simply by being open and exposed to the air contents. This is the most useful application of foam gaskets for safety glasses. The foam works much like a subtle goggle skirt, forming a seal between the reinforced glasses and your face. No dust, debris, or chemicals can get into your eyes because there is no space even for air to get through. At the same time, the foam is just breathable enough to keep your skin comfortable, giving you a much slimmer alternative to goggles. While the foam gaskets were primarily added to safety glasses design for environmental hazards and long-term comfort, there is also a very beneficial side-effect: impact protection. Most people who wear glasses are familiar with the sharp pain of something hitting your glasses, driving the frames and nose pieces into your face. This often leaves sore spots and contoured bruises that make wearing glasses less pleasant for days afterward. Foam gaskets, however, serve as a soft buffer between the hard frames and your face. Should your glasses be impacted by anything from a swinging beam to a buddy’s elbow, you won’t be dealing with hard plastic hitting your face. Instead, the foam will compress, creating a soft and form-fitted cushion between you and any force that comes through the glasses. This significantly increases the protective value of your foam gasket safety glasses because the gaskets make the glasses themselves more safe to wear. Foam gaskets are like the difference between a harness strap and a padded harness strap. One does the job but can rub you raw while the padding makes the job easier and more comfortable every single day. Foam gaskets as padding are particularly useful for someone who wears prescription glasses and is looking for an all-purpose design for their prescription safety glasses. The gaskets not only make your glasses safer in particle-rich environments, they also make more active and high-risk projects safer and long hours of wearing your safety glasses more comfortable. This takes us to the next point. Offering complete protection is part of the core design of foam gasket safety glasses, and this is true for more than just air particles. It was noted that traditional safety glasses significantly increase your eye safety on the job but there are still accidents that happen due to peripheral leaks. Safety glasses that filter bright lights, for instance, may allow some light to leak in around the sides and this makes turning your head during activities like welding very dangerous. Even with side shields. Foam gaskets ensure that your only peripheral vision is what you can see through the protective lenses. The gaskets fill the space that would normally allow in light or particles around the edges of the frames, ensuring that your eyes are perfectly safe inside. There are even different materials and styles used for foam gaskets, allowing you to choose just how much protective padding you want in between. For sleek already form-fitted frames, you need only thin, contoured foam gaskets while wider designs may benefit from thicker pads that compress to fit your face comfortably. This ensures that you can protect your eyes from peripheral light or particle leaks based on the design of your safety glasses. Finally, there is the value of versatility. Most safety glasses with foam gaskets are sleek in design, tightly fitting to your face for the best environmental protection. This means your glasses will be low-profile glasses that work in a wide variety of safety situations. The particle resistance will allow you to use your prescription safety glasses for any high-dust, chemical, or metal shop, or carpentry work. Anything that involves a high number of particles in the air, flying debris, or simply spending time in a dusty environment will be easier to deal with because the gaskets will protect your eyes from irritants. The impact-protection of the foam gaskets combined with the sturdy safety frames also make this design the ideal glasses for any work that could result in a hit to the face. While no job has ‘hit to the face’ listed in the work details, any experienced contractor, mechanic, engineer, or scientist knows that accidents happen. This is especially true in areas where falling objects, high winds, or necessary destruction comes with a certain risk of objects flying through the air. In many designs, the gaskets can even be removed in order to trade the added protection for airflow. This makes foam gasket safety glasses even more versatile as they can be transformed back into normal safety glasses. With a sleek design, they can even double as your everyday prescription glasses without the gaskets or prescription safety glasses with the gaskets in.